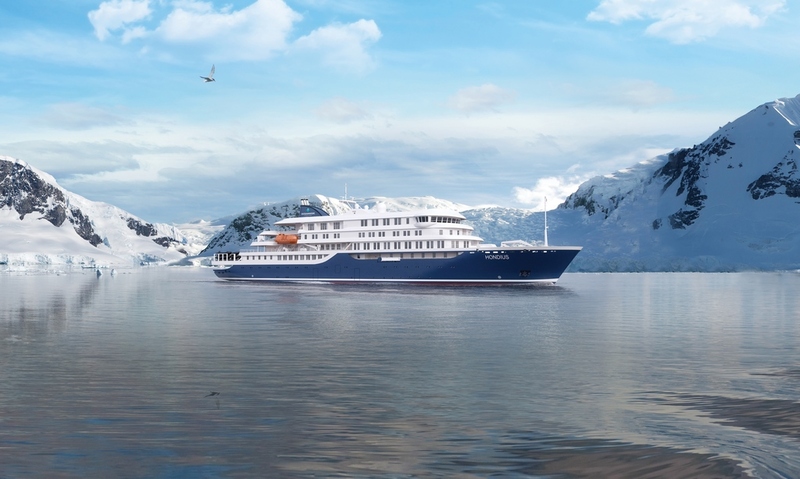 Overseas Adventure Travel (OAT) has announced three summer expedition cruises around Svalbard aboard the Hondius for the summer of 2020. A small group travel company, OAT caters to American travelers 55 years of age and older and owns a fleet of five vessels in addition to charters. The new 150-passenger Hondius will sail for OAT on a charter agreement. She is registered as a Polar Class 6 expedition vessel. The 15-day program includes 10 days aboard the Hondius, starting at $12,895 per person, including roundtrip airfare from the United States. The three departures are June 29 and July 9 and 19, 2020. According to OAT, highlights include: 10 days around Svalbard, spotting wildlife such as polar bears, walrus, narwhals, reindeer, arctic foxes, blue whales, and many types of birds; daily zodiac cruising and landings – 10 people per zodiac accompanied by a knowledgeable expedition team; educational talks and discussions regarding climate change, pollution, ice flow changes, wildlife and explorers; and an “open bridge” policy enabling travelers to speak with the captain. In addition to the O.A.T. crew, an expedition team will be on board and available throughout the day, including naturalists, botanists, wildlife experts and ornithologists to help spot and discuss wildlife. Traveling via Oslo, travelers fly to Longyearbyen, where they board the Hondius.